Drop your iPad and crack the screen? Did you let your 2 year old play with it and he broke the glass? Have no fear! iPad Repair is our specialty. 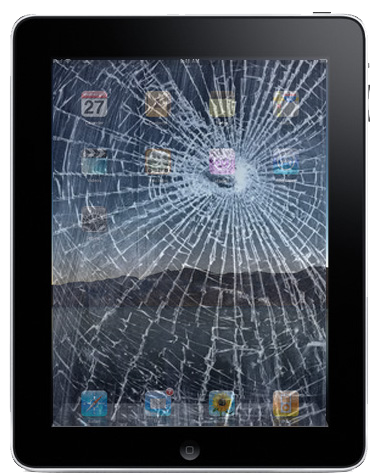 Our technicians at Xpert Computer Service & Repair can fix your iPad and make it as good as new! Whether it’s an original iPad, iPad2, iPad3, iPad 4/retina, iPad Mini or the new iPad Air we can replace the digitizer for you with Genuine Gorilla Glass© OEM replacement parts. Rest assured that the replacement glass that we use is the same quality that was used by Apple when your iPad was manufactured. Be careful of other repair shops that claim to do this repair for a rock bottom price. Most use inferior glass digitizers and some are even made of plastic and the repair will take days or longer. If you live in Raleigh, Cary, Wake Forest, Durham or the surrounding areas, we are located within 30 minutes of you. Our iPad repair service is 100% guaranteed and our turnaround time is between 1.5 and 3 hours, no appointment necessary! We also run a full service Computer Repair shop servicing Raleigh, Cary, Durham, Apex and the surrounding areas.